Warning: Spoilers ahead for Captain America: The Winter Soldier, out in theaters now. Hopefully you were able to figure that out from the headline, but one never does know. 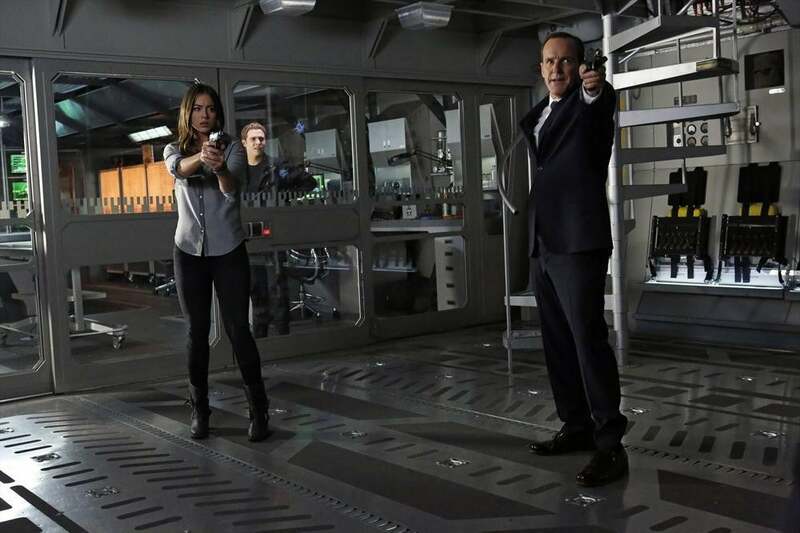 All weekend long, we've been running stories about the intricate web of interconnected spoilers that make watching Agents of S.H.I.E.L.D. or Captain America: The Winter Soldier independently impossible without spoiling elements of the other. There were a lot of things we learned in The Winter Soldier that help to shape the future of the Marvel Universe in general, but Agents of S.H.I.E.L.D. is the most obvious place we'll start to see some of those changes reflected, since the organization at the heart of that TV series was also the setting for much of Captain America: The Winter Soldier. You remember Hydra, right? The organization from Captain America: The First Avenger? That's presumably why it happened in the movies instead of on Agents of S.H.I.E.L.D. (although, let's be honest, Robert Redford probably wouldn't have done Agents of S.H.I.E.L.D. and seeing him masterminding much of the film's plot was a high point in Cap 2). 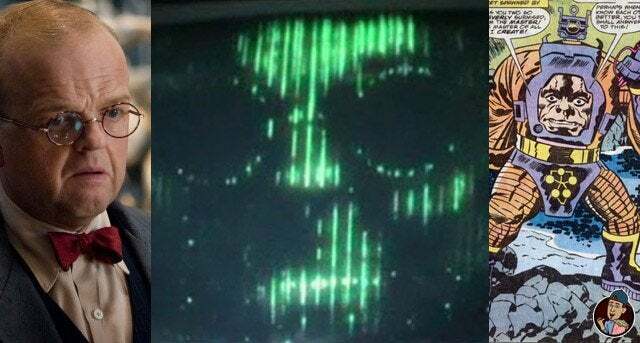 In the film, there are Hydra sleeper agents peppered throughout S.H.I.E.L.D. -- something that we still haven't seen the last of, if today's interviews with S.H.I.E.L.D. actors and showrunners are to be believed. "I'm a little old for it, but I'm the one texting, 'OMG! OMG! Oh no, you traitor!' It's kind of hilarious," Clark Gregg told USA Today. "People are racing to their car to read the new scripts and find out what new Hydra betrayal is going to be revealed." 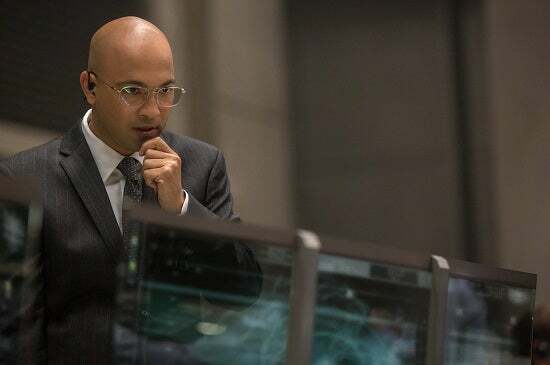 Agent Jasper Sitwell, who first appeared in 2011's Thor, is not who he appears to be (or rather, was not before he met his end in The Winter Soldier). Note: A previous version of this story referred to Sitwell as having first appeared in Item 47. In fact, as Steve McMullan notes below, "Sitwell was actually first seen in Thor "Is that one of Stark's?" "I don't know. The guy never tells me anything"). Then in "The Consultant", The Avengers (He's the one who found Loki in Stuttgart), "Item 47", Agents of SHIELD, then finally, CA:TWS." 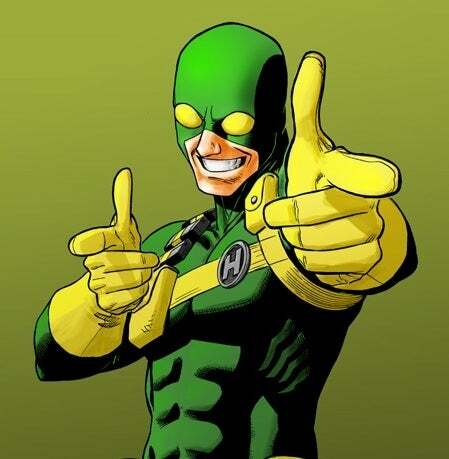 An Agent of Hydra, Sitwell strayed from his comic book roots , in which he was a loyal agent to the end, dying at the hands of a brainwashed Black Widow in order to save the life of Nick Fury. Before his death in the movie, he did have an opportunity to give the audience some exposition, explaining the way Hydra was targeting their enemies and giving us information necessary to understand what was going on in the film's third act as well as name-dropping Stephen Strange. 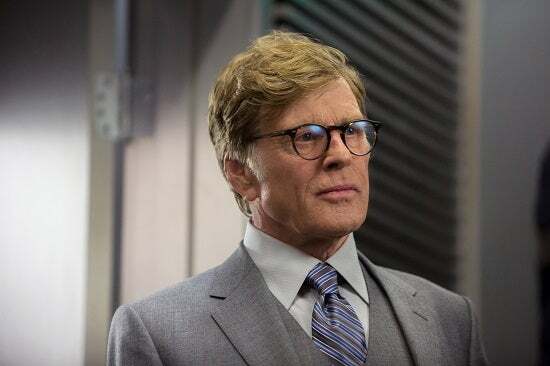 Speaking of recognizable faces, this may have been his first Marvel Studios film, but Robert Redford is Hollywood royalty, and having him say "Hail Hydra" was apparently a big deal to the filmmakers just because he's Robert Redford. "Redford does not say any lines he doesn't want to say, and wisely so," McFeely said. "He's been doing this for so long that he would come to the directors or come to us and say, 'You don't need these three lines, because once I've said these other lines, you'll see the rest of them in my face.' And it's absolutely true. Sometimes you write for a much worse actor than you get. [Laughs.] If a guy like Redford wants to say, 'Hail HYDRA,' then it's just like, hell yes." Of course, this is the big reveal-that-isn't-a-big-reveal since Redford admitted long ago that he was playing a bad guy. Once all of this -- and many more of the organization's secrets -- goes public, the organization is gone. Not only are they officially disbanded, with a montage at the end of former S.H.I.E.L.D. employees going elsewhere for work, but the Triskelion wsa pretty banged up, too, after its encounter with a falling Helicarrier. ...Or, at least he was, and there's really no reason to believe he won't be again. As in the comics, Arnim Zola has transferred his intelligence into a computer, and while that computer was destroyed in Captain America: The Winter Soldier, that didn't happen until after Black Widow and her trusty, explosion-proof USB drive had already had a chance to interface with the machine.